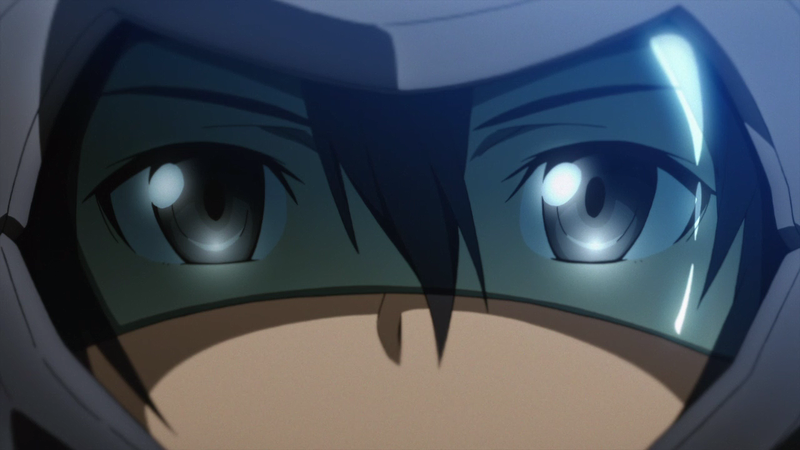 What is Niconico Douga ? In japanese , the word ‘Niconico’ simply means ‘to laugh’ or ‘smile’ while the other word of the phrase ‘Douga’ means videos or movies. Therefore, as the name sounds , NicoNico Douga ( smiley smiley TV ) is the NO.1 VIDEO COMMUNITY SITE IN JAPAN ensuring your fun time and happiness with all the video content provided on the site. WHY IS NICONICO DIFFERENT FROM OTHER VIDEO HOSTING SITES? BECAUSE IT JUST IS! Actually no. NicoNico is unique because of it’s original commenting system. This system is so cool because it allows viewers to interact with the one on video in real time as the comments will be displayed on the screen. 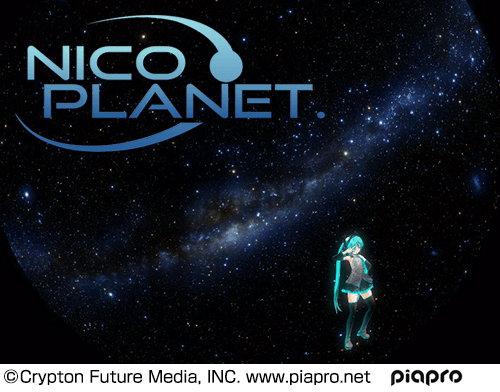 Other than that, Niconico is also a home to an endless virtual library of video user covering several genres such as the all time famous Vocaloid , Sang_it, Danced_it, Played_it and not forgetting Let’s Play. The concept is simple. 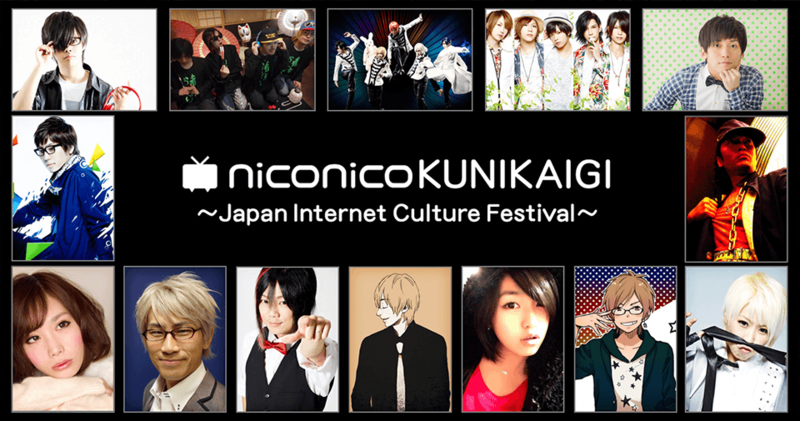 Niconico wants to recreate the Japanese Internet culture in real life at AFASG. 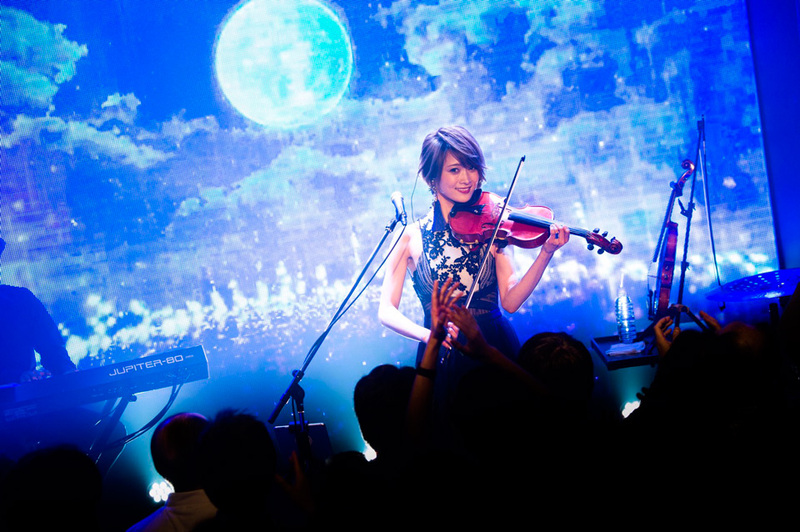 Hence , they have prepared several projects such as karaoke sing-offs based on Anime songs, cosplay tournaments, Niconico Douga user dance lessons, dance stages, video game battles and DJ events that will allow everyone to experience Japanese Anime and subculture hands-on in high definition which no doubt will keep them smiling. There’s tons of stuff set up for you at Nico Nico area in AFASG so make sure you Get ready to experience a ton of Japanese internet culture recreated overseas for the first time ever! This is so so so cool ! Like who needs to go National Service to experience using cool gadgets ?! This gadget gives you the opportunity to relive the ‘shingeki’ feel. 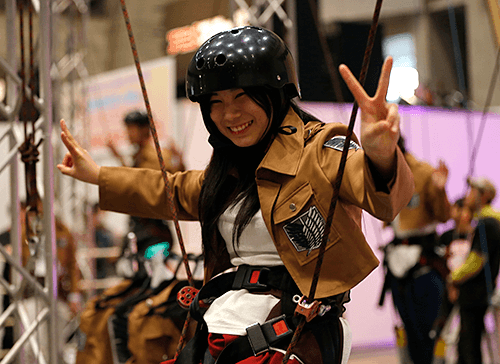 For all Shingeki no Kyojin fans , do not miss out this wonderful chance to experience this extremely cool gear which allows you to experience the ‘shingeki’ world in real life only at AFASG! 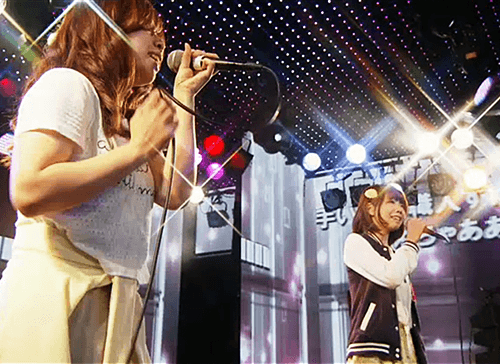 This year , NicoNico brings you the top Nico Users to perform live on stage for all the viewers and fans. 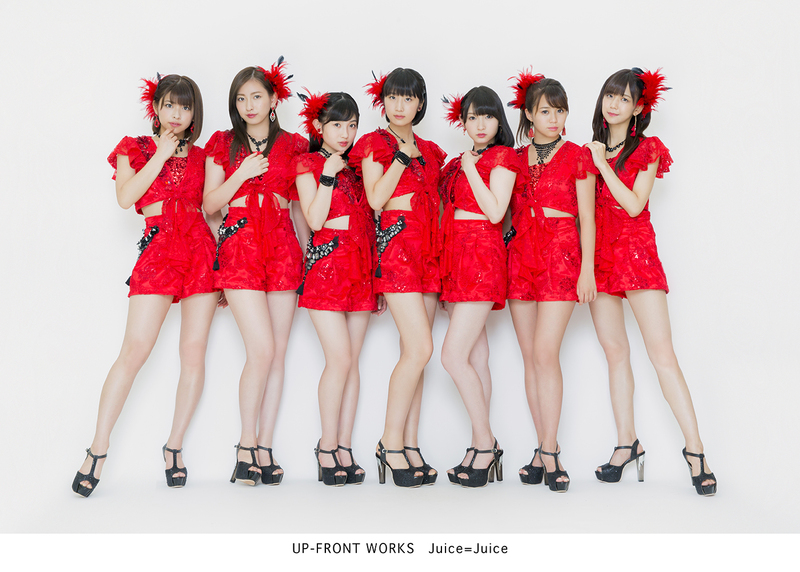 Get to meet and see your idol perform life on NicoNico stage only at AFASG ! The DJs will also be putting together all the best Anime and Vocaloid tunes so come dance along and enjoy the music. The lineup of Users [ Artist ] are below. Other than performances , There will also be Dance Lessons for everyone, under the project DANCE IT ! 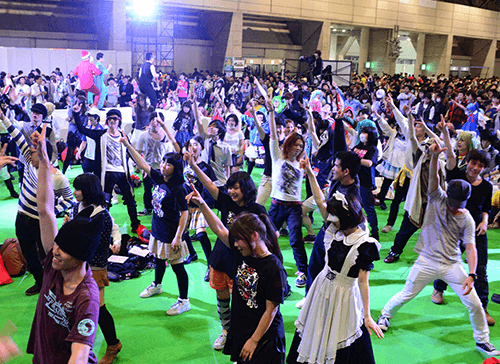 NicoNico Guest Users will be teaching all those present around the NicoNico Area at AFASG how to dance. YAY!!! Isn’t that awesome? Lessons from the Pro! 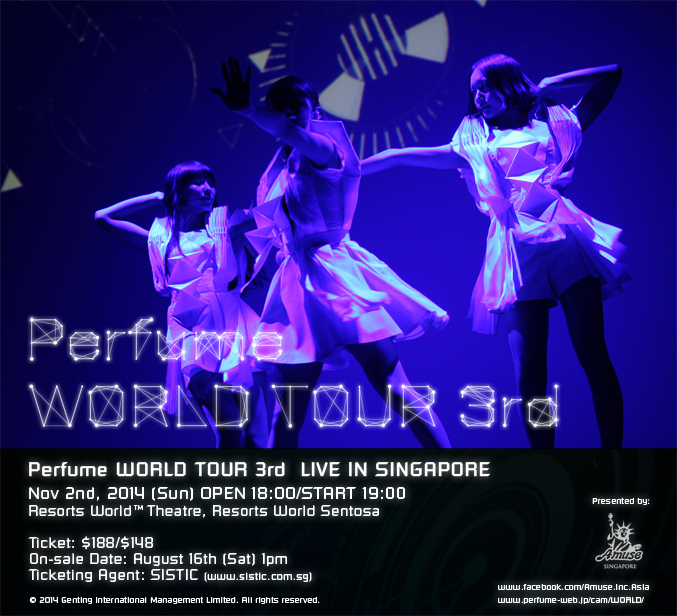 Everybody Let’s Dance our hearts out together at AFASG this year! KARAOKE STAGE IS HERE ! AND , EVEN MORE EXCITING , THERE IS SOLO KARAOKE TOO!!! Brave up and pursue your singing dream ! 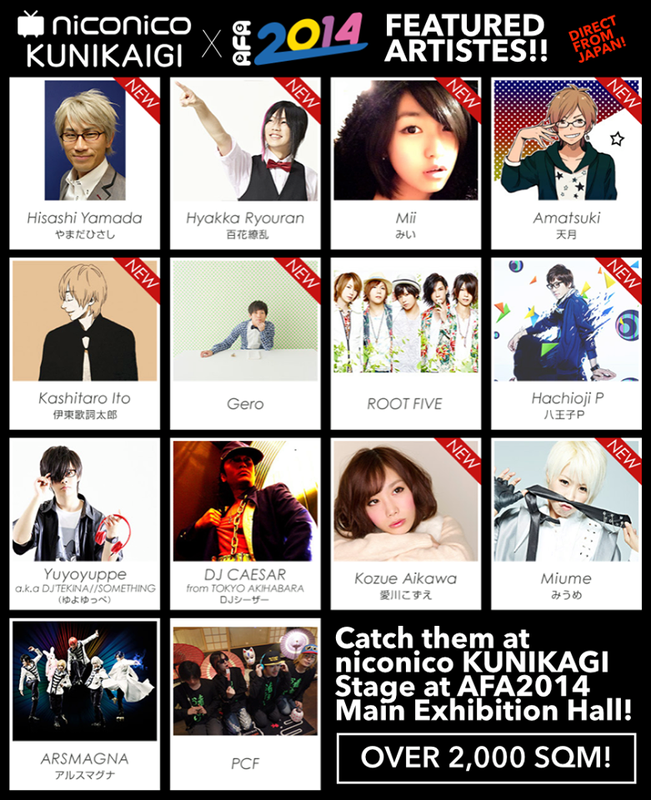 For all those attending AFASG this year, get your chance to sing on stage at the NicoNico booth and broadcast to the world. 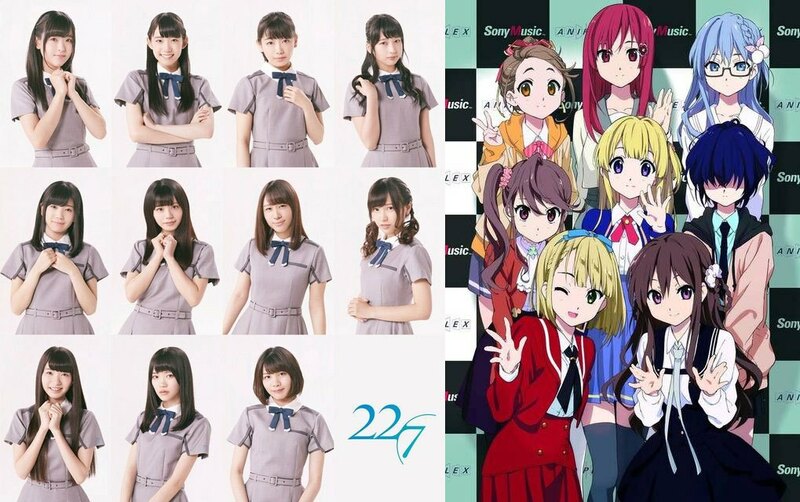 NicoNico will sing an anime song together with all of you at the end so ENJOY! There will also be rooms provided for one or two person to sing their songs and broadcast it to the world. 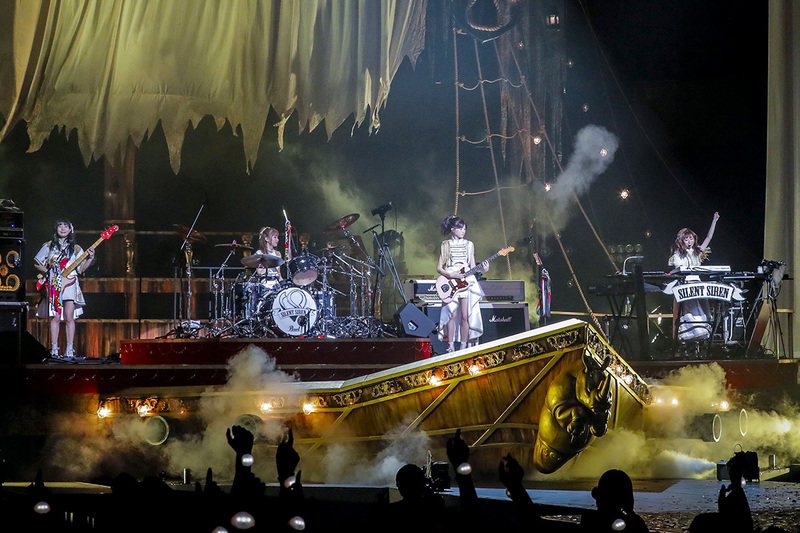 Have an experience of getting your music broadcasted as you enjoy the commentaries from viewers in Japan. 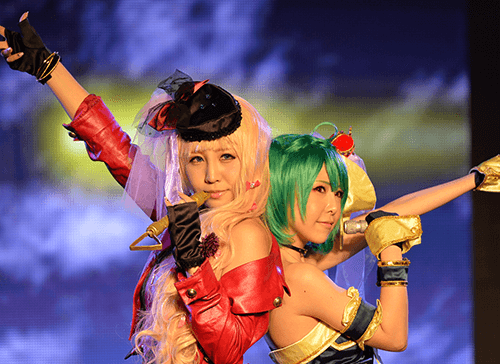 Want to show off your cosplay costumes on stage ? This is totally for you! All you have to do is cosplay to the booth and your photos will be taken by professional photographers. The details will be informed there and then so just wear your costumes and go. There is also a SPECIAL for GAMERS. 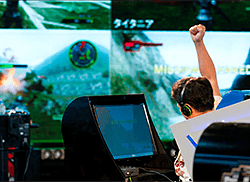 Come battle against Japanese NicoNico Douga Users! The Challenge is on! Artist or not , come share your doodles or artwork with everyone. You can draw and express whatever you want . You can write some notes too. Well , just anything at all. Well , that is all for now. Isn’t it exciting ?! I am so excited I can’t keep myself from the chair as I browse through their website. 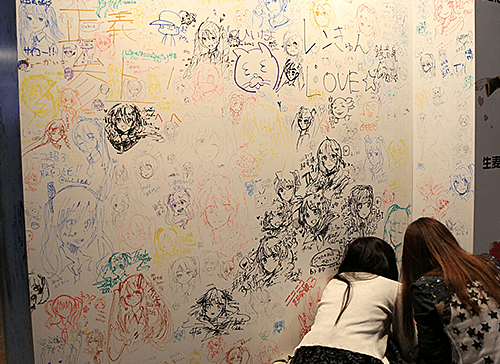 The idea is sharing so come and share your happiness , fun and laughter with all of us at NicoNico Booth. AKB48’s Atsuko Maeda to release first solo single.